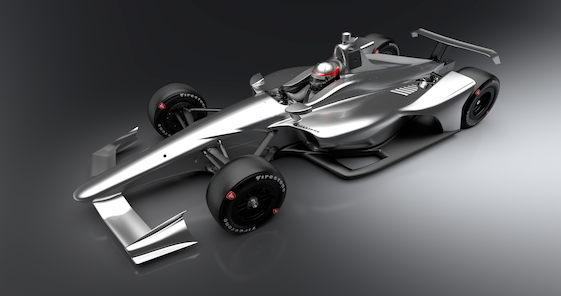 The process of creating the next-generation Indy car began in April 2016 when INDYCAR, sanctioning body for the premier North American open-wheel racing series, set the criteria for potential manufacturers. The design process began in November with hand drawings outlining the car’s general design. INDYCAR has scheduled the first test of the universal kit’s superspeedway oval configuration for July 25-26 at Indianapolis Motor Speedway. The road-course configuration will be tested Aug. 1 at Mid-Ohio Sports Car Course, the day following the Honda Indy 200 at Mid-Ohio, the 13th race on this year’s Verizon IndyCar Series schedule. Other tests are scheduled for Aug. 28 (at Iowa Speedway) and Sept. 26 (at Sebring International Raceway in Florida). Dallara has supplied safety cells for the Verizon IndyCar Series since 1997 and been the sole chassis supplier since 2008. It also has supplied, since 2015, the chassis used in Indy Lights presented by Cooper Tires, the top level of the INDYCAR developmental ladder. Dallara will continue to support Verizon IndyCar Series teams through its U.S. headquarters and engineering center a few blocks south of Indianapolis Motor Speedway in Speedway, Ind. Dallara was founded by its current president, Giampaolo Dallara, in 1972. After working at Ferrari, Maserati, Lamborghini and De Tomaso, Dallara established Dallara Automobili da Competizone in his hometown of Varano de Melegari, Parma, Italy. Since its establishment, Dallara has become world-renowned for its specialty in designing, manufacturing and developing race cars and consulting activities to some of the most important brands in the world. Verizon IndyCar Series teams will still be able to choose between Chevrolet and Honda engines for competition in 2018. As with the current aero kits provided by Chevy and Honda through the end of this season, the universal car will come in two configurations: one for superspeedway ovals and the other for street courses/road courses/and short ovals. Foyt’s ABC Supply team switched from Honda to Chevrolet after the 2016 season with 25-year-old drivers Carlos Munoz in the No. 14 car and Conor Daly in the No. 4.